A professional reviewer would use the author’s last name when writing a book review, in this case “Buchine." This is a sensitive issue for women who often get named by their first names, while men get addressed by their surnames. BUT . . . Irene is my friend so I’m dropping the professionalism for this review. 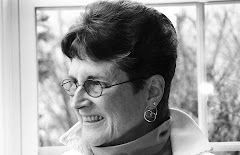 Our group listened, cheered, critiqued, and waited with Irene as she told her story over and over, wrestling with how best to put it into words with both truth and dignity. She finally came up with the idea of a children’s book about two children struggling with something neither of them understood, but which threatened both of them. The result is Celia and The Little Boy, a book dominantly colored in greens, its shape more horizontal than the traditional vertical, illustrated by the author herself, and conveying the powerful spiritual gift of hope against hope. The first most exciting thing for me as a writer is having my own books published, especially my memoir. My books are nowhere near as precious as my children, yet they are like my babies, coming from the flesh of my own experience. The second most exciting thing for me it to see a friend’s memoir come to fruition in print. What makes it so thrilling is that I’ve have been part of the laboring process of its conception and birth—like a memoir midwife. And now it has its own life and I can watch it grow. 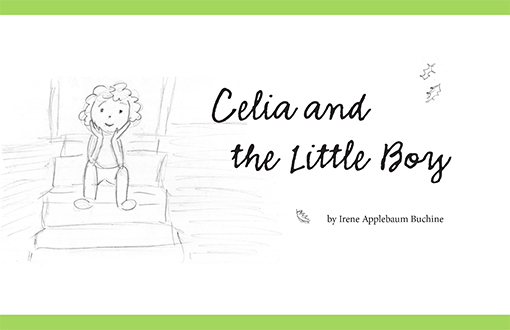 Celia is for readers 8-98. Childhood depression is a common phenomenon often misunderstood and discounted with clumsy platitudes and judgments. This simple book is a valuable educational resource for librarians, teachers, tutors, parents, counselors, clergy, also for students, some of whom will identify with depression and seek healing because of this book. Hope intervenes through friends who do not give up and keep showing up. Also, through a tiny mysterious force of nature and the god-given eyes to notice and to follow—inch by inch into the light. This book will bring you into the light. Order it now at: irenebuchine.com. This book changes lives. The third most exciting thing for me is that I happen to have two grandchildren who want to be a writers and actually have heft for the writing art. Phoebe, the oldest daughter of John, my son, and Emily Brakeman, is ten and keeps a journal of her writings. 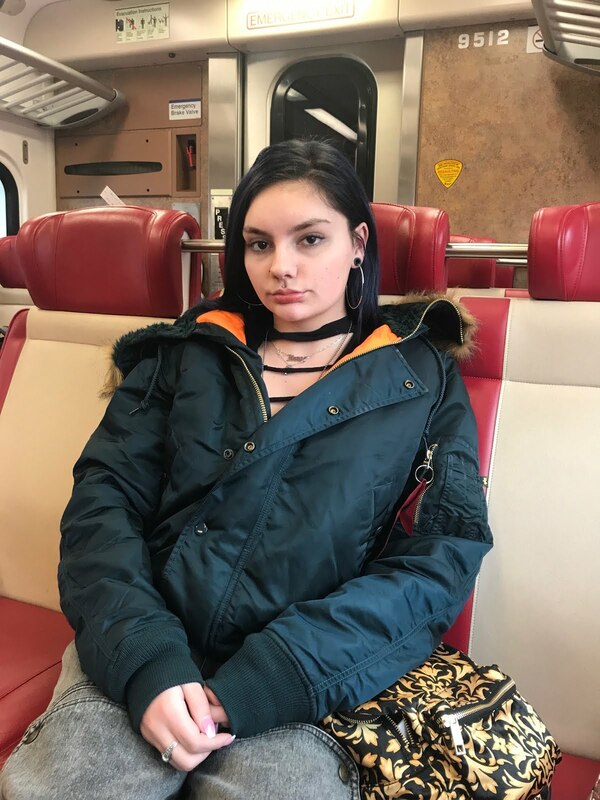 Phoebe is taken with poetry and is an avid reader. 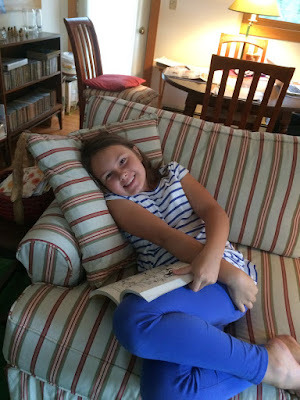 The poor kid may be like me—a book- worm. But I’m so proud. Reading is how one learns to write well. Here is Phoebe, the writer, reading. She told me “You’re my idol.” I corrected that inflation, while I secretly loved it. 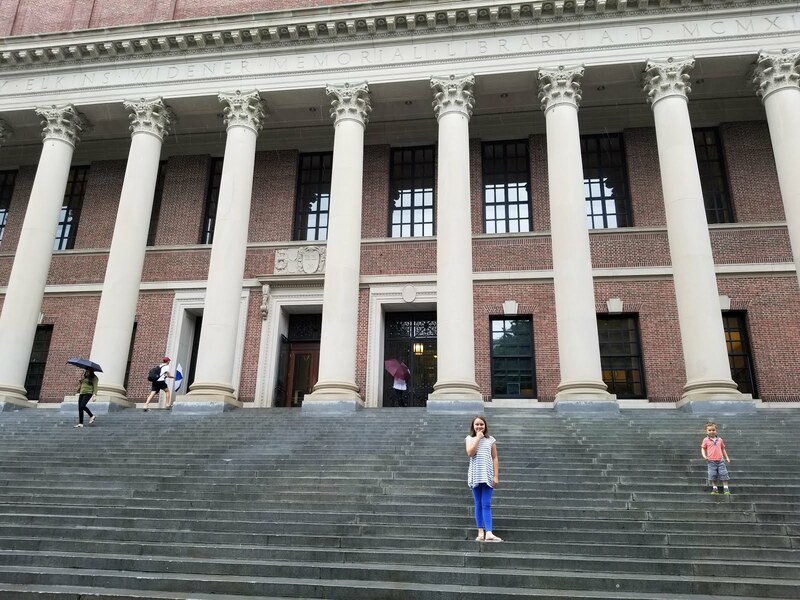 We took a walk through Harvard Yard even though she insisted that she would be going to Yale like me. 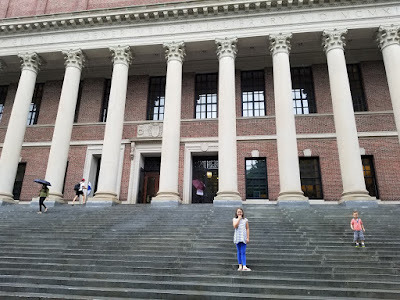 Here she is on the steps of Harvard’s Widener Library with little brother Dylan, 4 (right) making sure he’s just a few steps above. Do you love kids? The other granddaughter-writer is Izzy Colbath, 18, the second daughter of my oldest daughter, Bev. Izzy also wrote a review of Irene’s book. Here is a quote from her review: “. . . no matter how comfortable you become in the isolation you’ve created, there is always someone that wants to help. Someone that loves you, or someone that just wants to see you smile, that help is always there, and accepting it is one step out of the isolation and negative thinking. A book for all ages, this story reminds us that no matter how alone we feel, we never truly are alone. Buchine tells a simplistic story of struggle and pain that can resonate in all of us. This Grammy is swollen with pride. We all love to be loved, but isn’t it wondrous when some of them want to follow you? Yes, it is. Bless you Irene, Phoebe and Izzy.